Hindus believe that the knowledge of medicinal plants is older than history (known) itself, that it was gifted hundreds of thousands of years ago to the Vedic Hindus by Lord Brahma, the divine creator himself. Thus when the Rishis of the Ayurveda sought to heal human suffering, they were able to draw on knowledge that had already been evolving for millennia in the forests of India. One tree about which they had a very deep knowledge was the Bilva tree. The science of Ayurveda values the Bilva highly for the medicinal properties contained in its root, fruit and leaves. According to Swami Sivananda, it is a healing tree which cures all diseases caused by vata (wind) and gives strength to the body. More commonly known as the Bel Tree in India as well as other warm countries, this is a sacred tree having sacrificial importance and the first thing we can notice about the leaves is that they are generally trifoliate. This trifoliate leaf is symbolic of Trikaal or the Hindu Trinity of Devas known as Brahma Vishnu and Mahesh. The other names of this tree are Wood apple and its botanical name is Aegle marmilos. The Bilva leaf or Patra as it is known, represents the Trinetra or three eyes of Lord Shiva, the main aspects like Trishakti (volition, action and knowledge), the three Shiva lingams and the three syllables of AUM or Omkar and are most favourite of Lord Shiva. 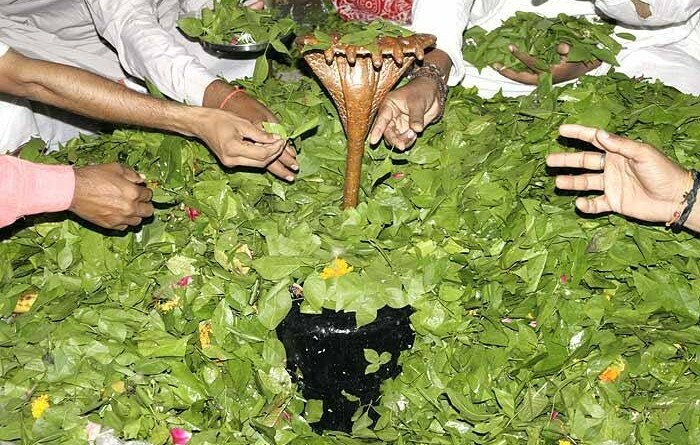 There are also five formed Bilva leaves known as PanchaDal patra found on some Bilva trees and these too are held as sacred for the worship of Lord Shiva. Bilva tree grows to a height of 8 meters with thorns. The leaves are alternate, ovate, trifoliate and aromatic. The tender leaves and shoots are consumed as salad greens. The flowers bloom in the month of May and will have a sweet fragrance. Bilva vriksham prayachchhaami eka bilvam Shivaarpanam. Born from the heart of Goddess Lakshmi, the Bilva tree is ever dear to Mahadeva. So I ask this tree to offer one Bilva leaf to Lord Shiva. Even if (one) has darshan ( view) of the Bilva tree, and touches it, surely frees one from sin. The most terrible karma is destroyed when a Bilva leaf is offered to Lord Shiva. It is also believed that Lakshmi, the Goddess of Wealth, also lives in the bel tree. Those who perform the puja of Shiva and Parvati devoutly, using the leaves, will be endowed with spiritual powers. According to Hindu scriptures, the Bilva is Triguna which is connected to the three Gunas or components of natural characteristics of the tree. In Hindu philosophy, the three Gunas are Sattva, Rajas & Tamas with Sattva being the pure most while Tamas normally is to do with darkness & ignorance. The Sattvic component is believed to be more centred within the bilva patra and therefore the high capacity to absorb and emit Sattvic frequencies. This has various effects on the environment as well as on anyone merelt touching the leaf. One of them is the reduction of Rajasic-Tamasic atoms present in the atmosphere & more importantly within the human body. A Sattvic leaf like bilva patra when brought in proximity of a person suffering from negative energies such as distress and anxiety is believed to medically reduce these energies within the human body. People with negative outlook towards life and their environment normally do not realise they have negative energies building up within their body and are at a risk of subconsciously harpering destructive thoughts also. Whenever such people come into contact with a Sattvic atmosphere, what they fail to realise is their negative energies try to fight the positivity of a Sattva predominant environment. This struggle can build up at various levels and can vary from the human mind thinking negatively and can result sudden bursts of anger to destruction of things around them. The roots, skin, fruits and the leaves of the Bilva tree are used for medicinal purpose. Bilva has astringent, edema lessening, anti-diarrhea, laxative and appetizer properties hence, can be used to cure both internal and external diseases. * Bel fruit clears diarrhea, dysentry, phlegm, high blood pressure, morning sickness in pregnancy, stress. The Bilva tree grows in almost all parts of India, irrespective of the nature of the soil, and is bitter, astringent and dry by nature. Tall and austere, with a stern aspect, gnarled trunk and sharp thorns, the Bilva is undoubtedly Lord Shiva’s tree. Shiva is always worshipped with its leaves, and it is said that this tree is much loved by him. It is to be found in all Shiva temples throughout India. 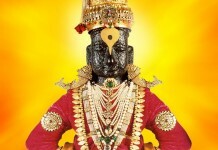 The Bilva is also found in Devi temples, where it is worshipped. At midnight, on the evening before Durga and Kali pooja (worship), a tantric ritual called Bel Varan is performed with the appropriate mantras. A particular energy is taken from the tree and placed in a kalash (pot). This energy is then transferred to the statue of Durga or Kali to charge or empower it for the coming pooja. The process is called prana pratishtha, the establishing of the life force in the statue. 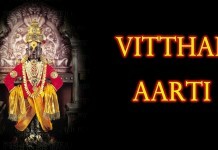 When the pooja is over, the energy is released, a process called visarjan. The English name for Bilva is Bael, also called ‘stone apple’ as its rather large fruit is like pale yellow suns when ripe. The Hindi appellation is Bel or Bael Sripal. In Sanskrit it is also called Bilva or Sriphal. The botanical name for this tree is Aegle Marmelops, and it belongs to the Rutaceae family. In the Atharva Veda it is described as being so sacred that its wood may not be burned for fuel. It is still worshipped today as a totemic deity by the Santhal tribes in India.